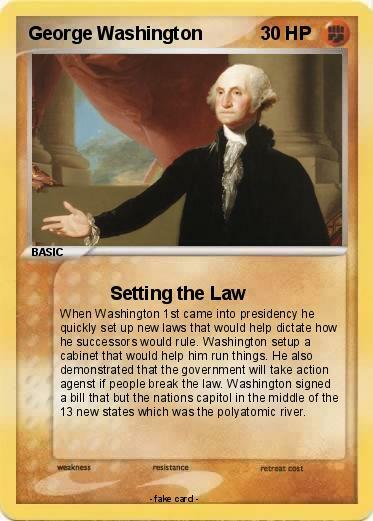 When Washington 1st came into presidency he quickly set up new laws that would help dictate how he successors would rule. Washington setup a cabinet that would help him run things. He also demonstrated that the government will take action agenst if people break the law. Washington signed a bill that but the nations capitol in the middle of the 13 new states which was the polyatomic river.